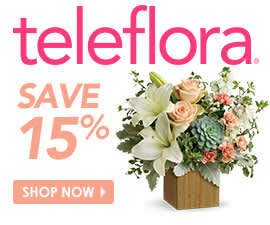 The Teleflora Blog is a service provided by Teleflora to encourage discussions relating to flowers, events, home décor, and other related topics. The Flower Blog is a moderated blog because we want to promote discussions in line with the topics introduced on the blog. We want everyone to share their thoughts, comments, suggestions and questions, but in doing so, please keep in mind that comments should add to the conversation and be of interest to the majority of the community. We consider a few things improper behavior and simply will not tolerate or publish comments using profanity, racial or ethnic slurs, or generally offensive behavior such as personal attacks. The authors on the Flower Blog are not the right people to assist you with customer service question. The best way to get any help that you may need is to contact our Customer Service Department directly, by phone at 1.800.Teleflora or by e-mail at customerservice@Teleflora.com. The comments of our authors and readers do not necessarily reflect the attitudes or opinions of Teleflora LLC and should not be taken as such, though we are happy to host well-rounded conversations. By participating in discussions on the our Blog, you agree to abide by the terms of this Blog Comment Policy and the complete Terms and Conditions posted on this website, which may be updated from time to time. © 2015 Teleflora LLC. All rights reserved.